^ Harbour Club in London? Burrell said basically it was in the boonies? I read about the car crash she had in her navy blue BMW the year before she died, where she told her private secretary she thought the brakes failed and she abandoned it and walked straight to the nearest Police station. So where there three crashes?!? ^ If that crash you all remember and are referring to is the same Burrell is talking about, then boy is he spinning the story to make himself, as you rightly say, the "star" of it and also basically Diana's "saviour" and "knight in shining armour", as if she couldn't have functioned without him by her side... Gawd. It does make you wonder what was going on. Somebody wanted Diana AND Cams out of the way for Tiggy to be Chuck's next wife, imo. ^ Do you mean the note she wrote that someone would tamper with her brakes, to get her out of the way? Maybe she wasn't all that crazy to think Tiggy could/ would marry Charles. I think it's quite well evident that Diana wasn't crazy and all the other shyte Charles's camp put out, but her accusations towards Tiggy never made sense to me, but maybe she was right after all? 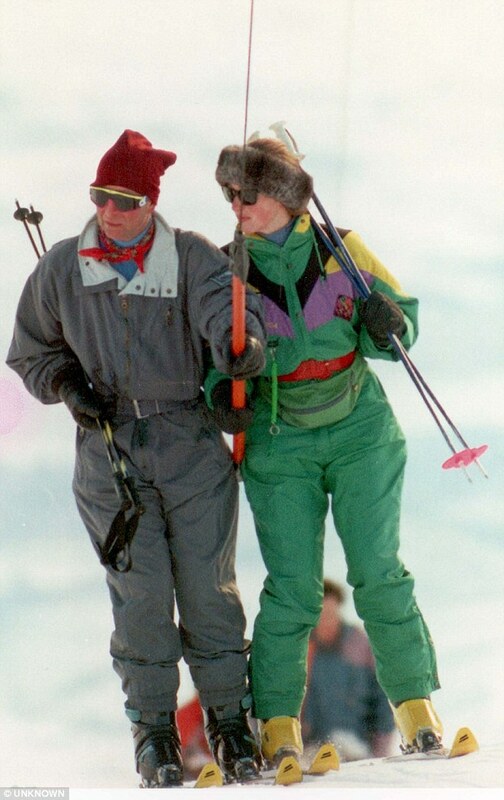 Christ, no wonder no sane or decent woman wanted to have anything to do with William or Harry; Diana wasn't crazy or too paranoid and I am certain that Tiggy would have reveled in being Charles' new consort. Charles appears to have condoned Tiggy trashing Diana's mothering. NO matter how he felt about his estranged wife, it was disrespectful to let the hireling trash the wife and mother of his children. Tiggy seemed rather vapid to me and admitted she had a crush on Charles. Charles behaved inappropriately all touchy feely with her. Staff in Britain seem to think they have a right to mouth of to and about their employers; even the courtiers have major attitude towards the royals, their employers. "[...] Mr Veness said the note was "potentially relevant", but nothing was done about it until 2003, after another note, written by the Princess to Paul Burrell in October 1995, was published in a newspaper. The Princess said in the note that: "My husband is planning an accident in my car, brake failure and serious head injury." The day after the Burrell letter appeared in a newspaper, Lord Mishcon rang the police to remind them of the existence of his own note. The police responded by passing on the note to the coroner investigating the Princess's death. Mr Mansfield said: "I'm going to put it to you bluntly: This note would never have seen the light of day unless Paul Burrell had published his (note) and you suddenly all realized you've got a problem?" Mr Veness said: "No. With regard to the future hearings there would have been a review, and it would have been pertinent to consider it in any discussions with the coroner." Mr Mansfield: "Were you just sitting on this note because you knew full well that the security services or agents of the British state, maverick or otherwise, had been involved and you didn't want this investigated?" Mr Veness said he "rejected completely" that suggestion. [...]"
Wow! It sounds very much like this was to be swept under the rug and had Burrell not blabbed, it would have never seen the light of day. As I read in another article ages ago, if this had been Mr and Mrs Smith and such a note by Mrs Smith had popped up, in fact not only one such note, but two, then Mr Smith would have been immediately treated as a suspect and seriously looked at and investigated. She certainly wasn't crazy and this has me now believe that she was right about Tiggy as well. Funny how Camilla, the old mistress, is treating potential mistresses and how she's treating Tiggy. Hmmm.... More and more smoke to the fire, no? I don't think Burrell really is all that bad really; if not for him talking, we wouldn't know about this and certainly I don't think the nanny was entirely pure. Tiggy had no business mouthing off about Diana to the world press and was too touchy with Charles. Oh yeah- Tiggy was just itching to be Chucky's next wife. I do wonder if she wasn't having an affair with him, why she burst into tears and had to helped out of the room when Diana told her she was "sorry about the baby" insinuating Tigs had been preggers and lost or aborted Chucky's baby. Now if Tigs had been innocent of anything WHY the breakdown? I do think that Tiggy's reaction was a bit much and Tina Brown did float the idea in her book "The Diana Chronicles" that Tiggy had had an affair with Charles. Tiggy supposedly had a three feathers pin that was a gift from Charles that both Diana and Camilla each owned. Fawcett of all people escorted her out of the room. And it was totally whitewashed how Tiggy mouthed off to the media about Diana and also was so touchy feely with Charles, kissing, hugging in public. She also smoked in front of the boys.